Restonic makes a great, heavy and dense line of memory foam mattresses and the Wedgewood 8 Inch is the most affordable of that line and has a luxurious but firm feel. 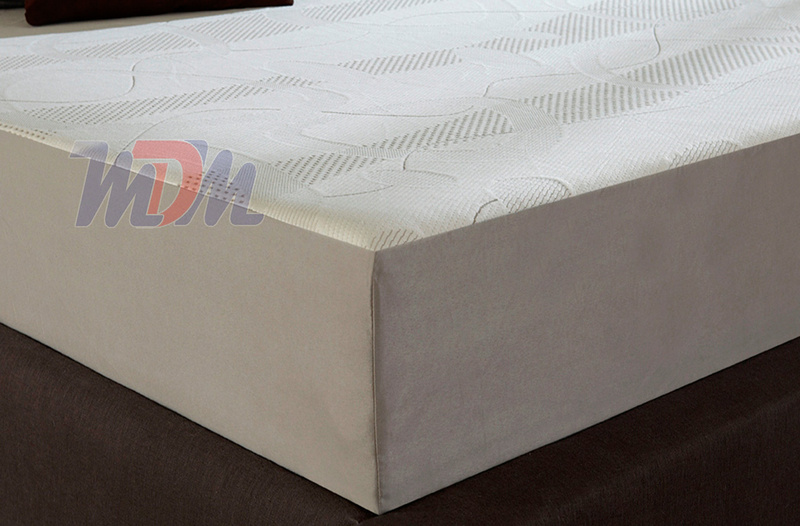 This model is available in both standard and odd sizes and offered at its lowest possible price by Michigan Discount Mattress. 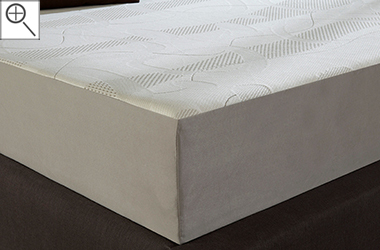 The Wedgewood 8 Inch is an updated take on the more conventional memory foam mattresses. When you first sit on it, it feels extra firm but, once you let it pull you in, it's really quite comfortable. This offers the therapeutic support that many seek when shopping visco-elastic memory foam and does so at a very low price. 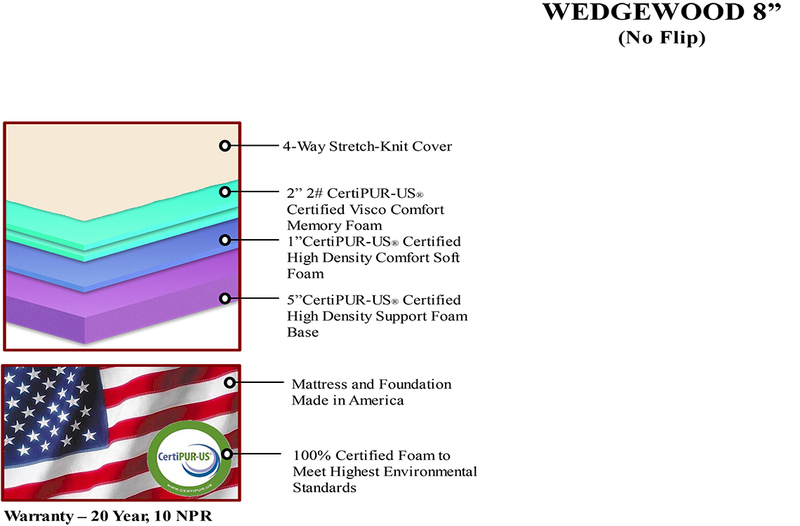 The Restonic Wedgewood 10 Inch Memory Foam Mattress is a tad bit softer, possibly due to the convoluted foam in its second layer but it offers the same amount of support (if not more) than this model.